When it comes to lavish, luxurious and swoon-worthy homes, celebrities have it in the bag. Hollywood’s biggest tastemakers and trendsetters often have the means and the money to design their homes in the most opulent and extravagant ways, which is why they are ideal to emulate, mimic and copy! 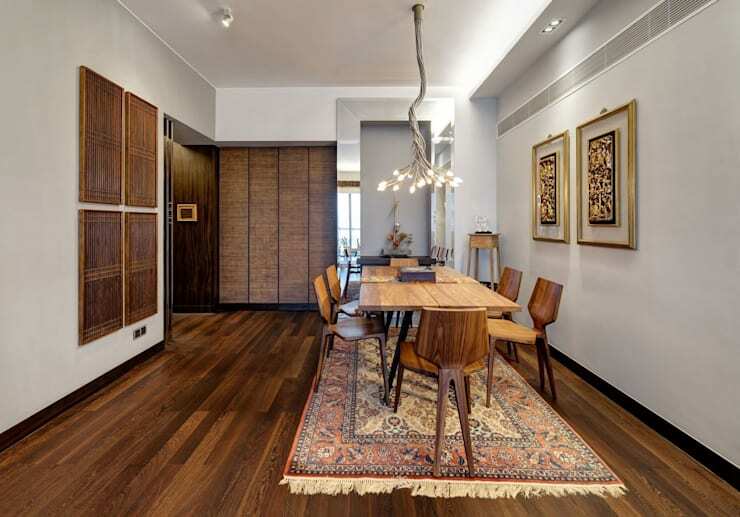 Today on homify we’re focusing our attention on celebrity-style and how you can achieve a little glitz and glam, while upping your décor game. Want to impress, stun and inspire? You need an infusion of distinction and eminence in your abode, and we know just how to you can get it. 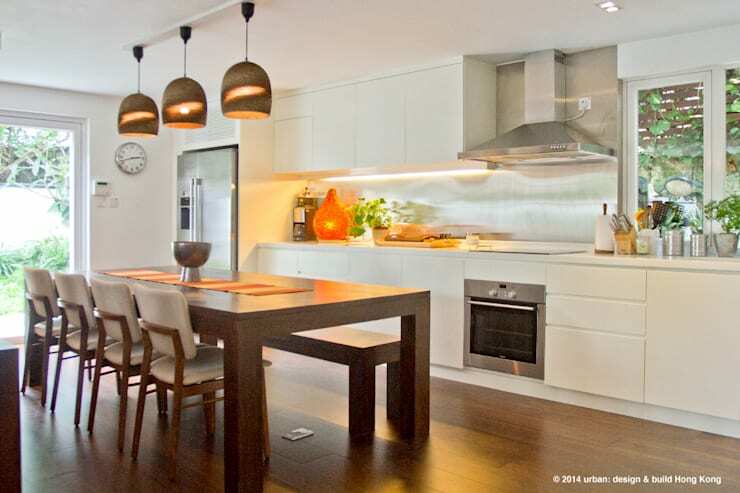 Are you ready to renovate, renew and refresh your residence? Read on below and get started today! 1. Flashy detailing, and show-off styling! Ok, so most of us won’t own a rosso corsa Ferrari, but we can definitely impart flashy details in other areas of the home. 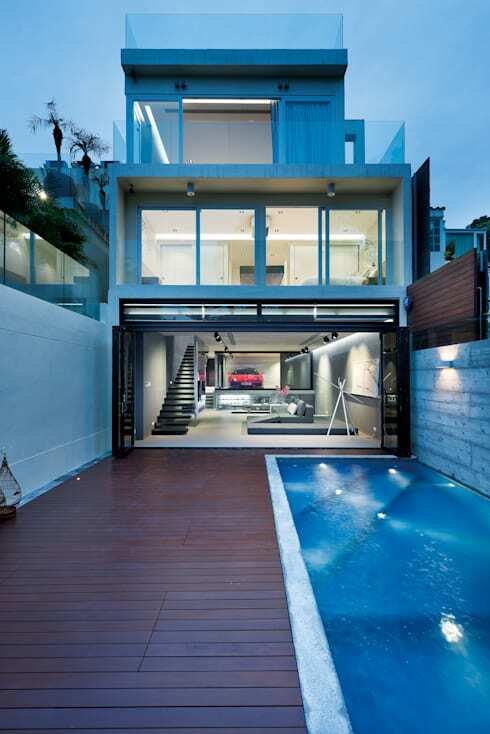 If you are remodelling, add plenty of glazing, and opt for show-off styling like this wonderful Hong Kong home has. 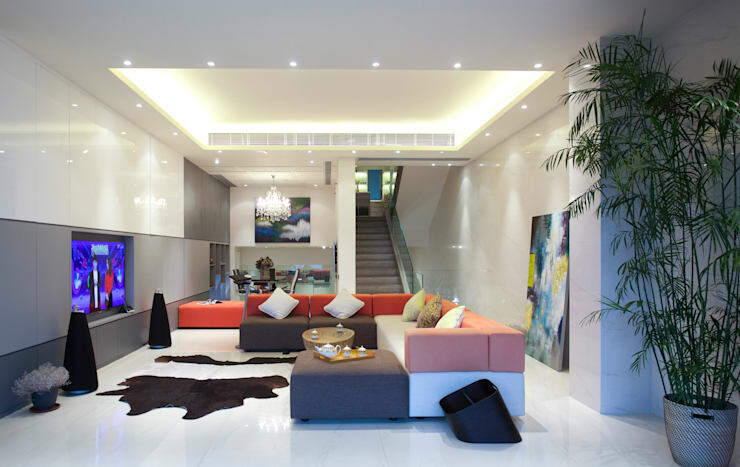 Choose one item for your open plan living room, and show it off! 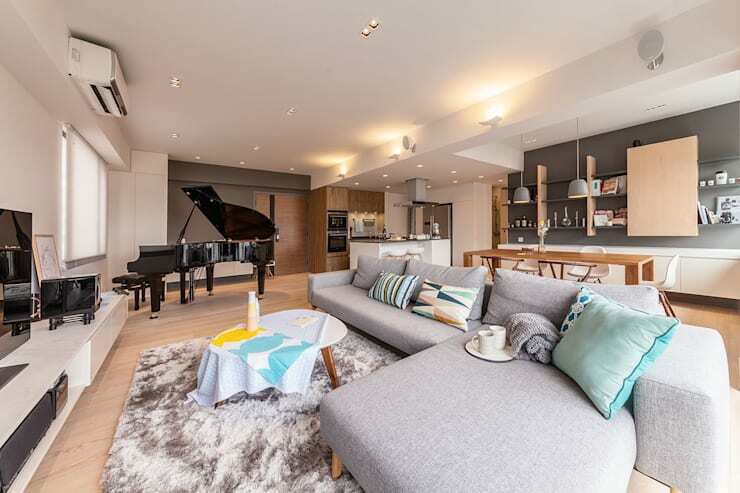 This baby grand piano is a fabulous example, but you could also include a bar, a library wall, an indoor water feature, a plant, or some artwork. Get creative and think outside the box. Dinner parties, dinner parties and more dinner parties! Set aside a luxurious space in your home, and ensure it is decked out with some great furniture to allow yourself to host an unforgettable soirée. Now that you have somewhere to entertain your friends, you are going to need somewhere for the caterers to cook you a fabulously inspiring meal. The kitchen is more than simply a place to cook however, it’s a statement, and the more luxurious the better! 5. Get yourself a luxury bathtub immediately! Whether you are a celebrity or not, you will benefit from a luxurious space to soak your body and relax you mind. 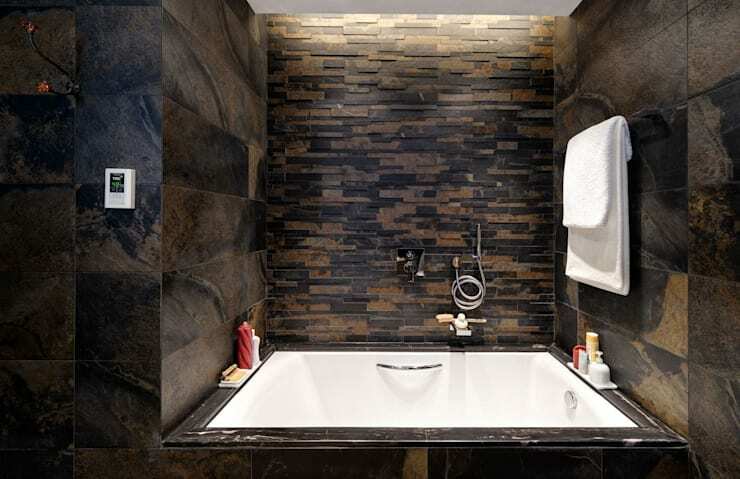 Pay attention to your tub, perhaps call in the professionals, and watch the ambience and atmosphere in your home improve tenfold. Make a statement with your furniture and opt for something modern or traditional, but make sure it stands out. Additionally, faux animal skin rugs are a timeless choice for any living room or den, and impart glamour and style effortlessly. If there is one thing your home most certainly will need, it is definitely somewhere for you to get some sun, and host your parties. 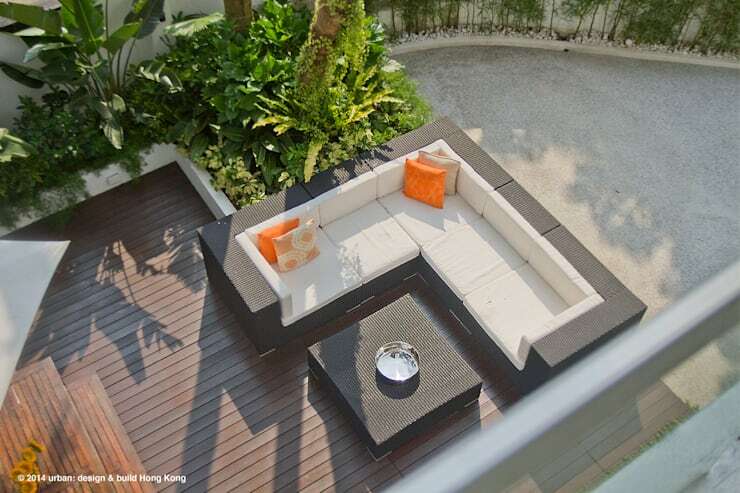 A terrace is ideal, and you can steal a few design tops from this gorgeous yet compact space. There is something effortlessly luxurious about Scandinavian interiors, and don’t celebrities know it! Plenty of luxury celebrity homes (think Malibu, LA and Beverly Hills) boast this timeless and effortlessly gorgeous scheme. 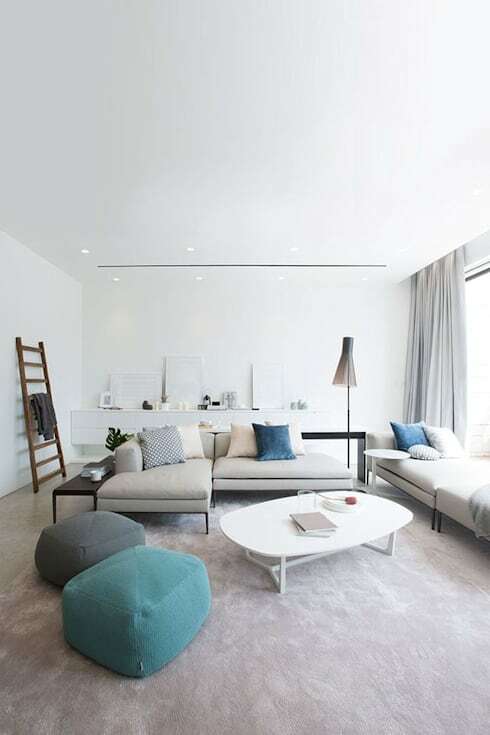 Go neutral with your interior and opt for simplicity, muted tones and freshen up the vibe with some statement blues and greens. Textiles can really alter a room, impart certain elegance, and exude refinement. For that celebrity air and ambience choose lavish materials and fabulously thick textiles. 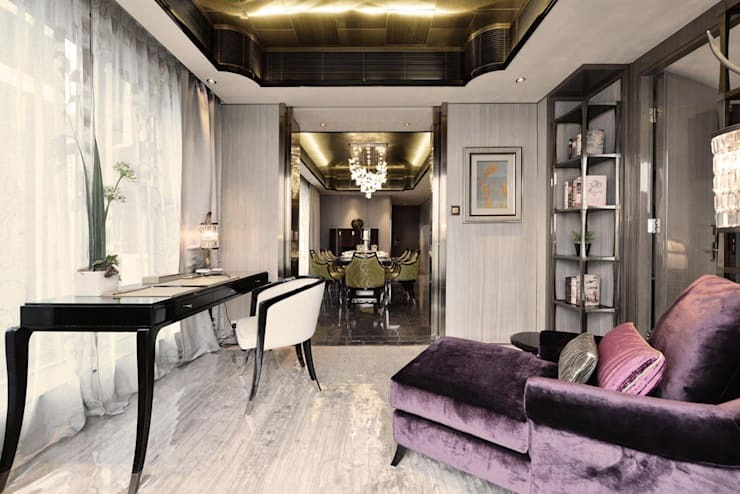 Think plush velvet, faux fur, as well as cloth wallpaper, timber wall panelling and plenty of sleek, high gloss finishes. Do you have any other tips for our homify community? Let us know in the comments below!